This weekend – October 1st and 2nd – all are invited to observe birds in 37 countries across Europe. It is the international bird observation event Birdwatch, arranged by the bird conservation organisation Birdlife International already since 1993. 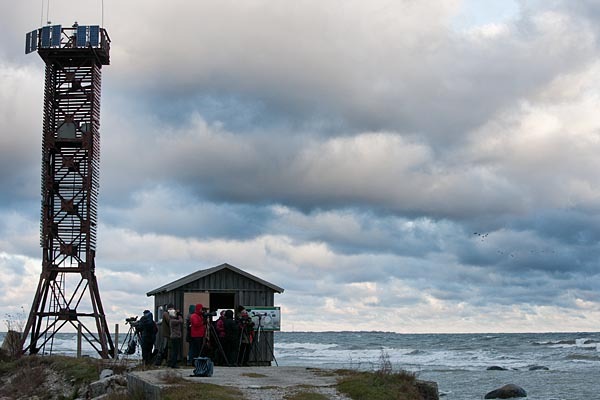 The Estonian Ornithological Society invites all who have an interest in nature to join in the event to observe birds. The beginning of October is the peak of migration for many birds and so there should be memorable bird experiences for all who spend some time outdoors. The main goal of the international bird observation days is to invite as many people as possible into nature so that they can share in watching the large-scale departure of migratory birds to their wintering areas, and at the same time become aware of the need to protect our winged neighbours. Last year more than 60 000 people took part in the bird watching action. To participate in the bird observation days there is no need to know all birds – the important thing is that only the birds will be noted that an observer identifies with certainty. The duration and bird watching spot all can choose for themselves to suit your wishes and possibilities. Half-hour walks near your home and bird observation rambles lasting the whole weekend go equally into the count. It is also possible to join guided birdwatching walks to learn more about the interesting ways of life of birds.